An employer decides to settle a claim brought by an employee under the FLSA for unpaid overtime. 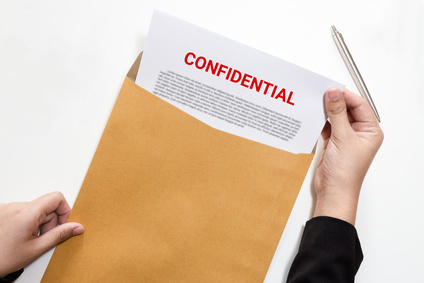 The employer would like to keep the settlement confidential—is that okay? Most likely no. A federal court in New York recently rejected the parties’ joint motion for settlement approval that would have kept the settlement confidential in a case brought against Busta Rhymes (a/k/a Trevor Tahiem Smith, Jr.) by his personal chauffeur. Jones v. Smith, Case No. 1:16-cv-02194 (May 14, 2018). David Jones worked as a personal chauffeur for Busta Rhymes. He filed a lawsuit against Busta Rhymes and his company (Starbus LLC) and one of his claims was that they failed to properly pay him overtime compensation in violation of the FLSA and New York law. The parties ultimately reached a settlement of the claims. The parties had to submit the settlement agreement to the court for approval. In the Second Circuit, like other circuits, court approval is required for all stipulated dismissals of FLSA actions with prejudice. Cheeks v. Freeport Pancake House, 796 F.3d 199, 206 (2d Cir. 2015). But the parties submitted a letter to the court in which defense counsel argued that the settlement could not be filed publicly for two main reasons: (1) because there were non-FLSA claims involved in the settlement and (2) because the settlement agreement contained a confidentiality provision because Busta Rhymes is a public figure and filing it publicly would be in contravention of that provision. The court disagreed. There are public policy reasons for requiring FLSA settlements to be both approved and available to the public. As another federal court in New York held last year, a court-approved settlement agreement cannot be confidential unless there is a showing that “the need for confidentiality outweighs the presumption of public access.” Yunda v. SAFI-G, Inc., 2017 WL 1608898 at *4, n. 2. (S.D.N.Y. Apr. 28, 2017). The court here found that the parties had not shown sufficient need for confidentiality. The court explained that the fact that the agreement had a confidentiality provision in it was not enough and that this sort of “circular rationale” had been rejected by other courts. Also, there was no legal support for the claim that the defendant’s status as a “public persona” would be a sufficient interest to overcome the presumption of public access. In fact, explained the court, the public’s interest in the defendant and previous knowledge of this lawsuit would increase the presumption of public access. Finally, the court found, allowing the agreement to be shielded from public scrutiny would thwart the intent of Congress to make sure that employees are aware of their rights under the FLSA and that employers are complying with the FLSA in the workplace. In order to have an enforceable release under the FLSA, a court is going to have to approve any settlement agreement. And this will necessitate a public filing of the proposed settlement agreement to the court. Absent some sort of special circumstances, it is unlikely that a court is going to agree to file such an agreement under seal and simply including a confidentiality provision in the agreement itself is not going to cut it.